Situated in Gangnam District, the heart of Seoul, Big John's Place boasts both an unbeatable location and amenities with resonal price. 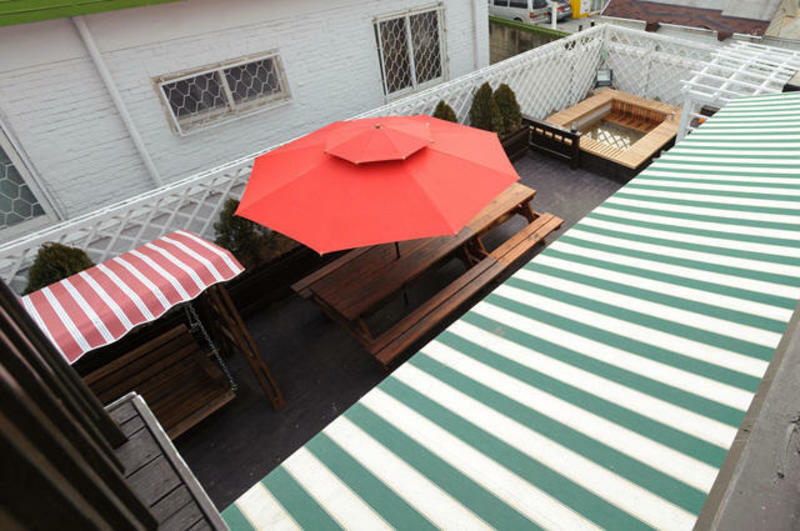 Stay in and have BBQ on the patio, relax in the outdoor hot tub, watch TV on the oversized screen, or head out and find all the culture and excitement, which Seoul has to offer right at your doorstep. After check in, you can enjoy cozy living room with large TV, game consoles(Wii & PS4), and board games. Clean and comfortable guestrooms are available with closets, vanities and luxurious beds. Spacious bathroom facilities are provided with courtesy shampoo, conditioner , shower gel, soap, toothpaste, toilet paper and towels. Our staff are able to speak Korean, English and Japanese, and willing to give you a hand when needed. In addition, city and nightlife tours can be arranged on request. Take KAL Limousine Bus #3 bound for the Ritz-Carlton Seoul Hotel at Bus Stop 4B between Gates 4 and 5, and get off at the Ritz-Carlton hotel. Walk toward Shinnonhyun station and turn left at the Ritz-Carlton hotel. Take the road between the NH bank and the Ritz-Carlton hotel and walk straight for about 150m. Turn left at the parking lot, walk straight for about 30m, and turn left to the alleyway in front of the Coco spa. You will see Big John's Place at the end of the alleyway. Take subway line #9 bound for Shinnonhyun station and get off at Shinnonhyun station (exit #4). Go straight for about 70m toward the Ritz-Carlton Hotel and turn right at the NH bank. Take the road between the NH bank and the Ritz-Carlton hotel and walk straight for about 150m. Turn left at the parking lot, walk straight for about 30m, and turn left to the alleyway in front of the Coco spa. You will see Big John's Place at the end of the alleyway.